BATON ROUGE, LA (WAFB) - No. 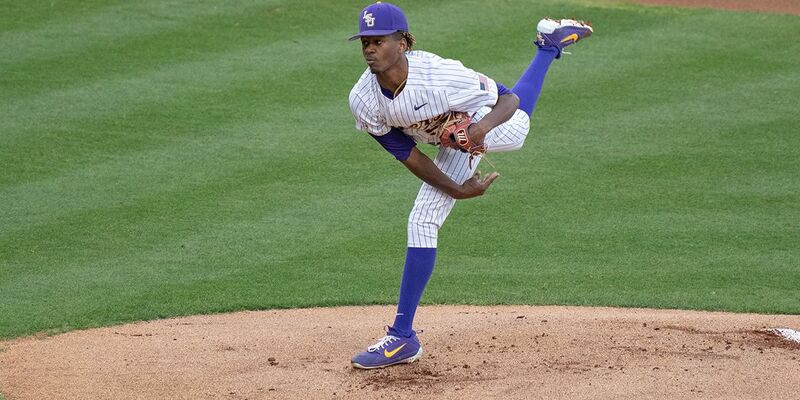 9 LSU got another shutout win Wednesday over South Alabama, after not allowing Grambling to score any runs Tuesday night. The Tigers (21-9, 6-3 SEC) held on for a 2-0 win over the Jaguars (13-15, 3-6 Southland) at Alex Box Stadium. Ma’Khail Hilliard started on the mound for LSU. He had five strikeouts and no walks in three innings of work. Trent Vietmeier got the win for the Tigers. He is 2-0 on the season. Devin Fontenot earned his second save. LSU’s pitchers held USA to only four hits in the game and recorded seven strikeouts and two walks. The game was scoreless until the bottom of the seventh inning. With two outs, Antoine Duplantis singled to shortstop to send Cade Beloso home for the 1-0 lead. In the bottom of the eighth inning and with two outs again, Chris Reid scored on a wild pitch to put the Tigers up 2-0. LSU will host Texas A&M for a weekend series starting Friday at 7 p.m.